Damp Proofing Solutions is a family run business originally founded almost fifty years ago with our workmanship spanning over three generations. Over this period of time Damp Proofing Solutions have matured as a company with our highly skilled and knowledgeable employees tackling thousands of damp related issues year round. 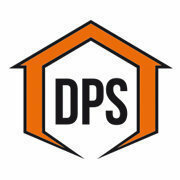 Damp Proofing Solutions was originally based in Wolverhampton but as the company began to grow so did the areas in which we cover. Our surveyors and technicians are now working throughout the West Midlands and continue to help our customers to overcome damp, woodworm, condensation and wet & dry rot problems as we have done for nearly four decades. When the team at Damp Proofing Solutions arrive on a job the aim is to provide a fast, efficient and friendly service to our customers. Our highly trained surveyors and technicians will leave no stone unturned and will go out of their way to provide complete customer satisfaction from the moment they step foot in your home. All work completed as stated and to standard. Workers polite & respectful. Happy with all work done & all rubbish removed. Prompt service. Very tidy - cleaned up. Work completed as expected. Considerate tradesmen. Advice given to resolve issue. Local trader, able to check work with other customers. Prompt service. Cleared up at the end of job. Would definitely recommend. The guys did a top job and I was very impressed with the thorough and top quality finish. They were very considerate of any damage that could have been caused by the work and adjusted as necessary. Three vents installed, prompt free quote, fast, clean workers, very friendly, never has such tidy workmanship. First impressions well organised, good honest advice. Cost as per quote - Fully explained. Can not recommend highly enough. Thank you for your work. Cream walls & beige carpet spotless after drilling wall of red brick - Fabulous. Everything was explained clearly at the quotation stage. The team arrived at the agreed time and worked all day. They were extremely courteous and professional. They used dustsheets throughout the house and I had no concerns at all. Cracking service from quote to completion. A great job done on damp proofing some complicated and awkward areas of my house. The team were punctual, polite & professional. Damp proofing done. All sorted out very promptly & professionally. Good job. Polite & friendly workers. Cannot fault Lee & Mark. They arrived on time, worked well together. Very professional & methodical, taking much care to leave my home as clean as it was when they arrived. Very pleased with the quality of work a pleasure to have in my home, very polite too. Helpful and informative during initial visit to give quote, not having to wait long before the work done. Staff on the day were very friendly, involving us with decisions that were needed, explaining clearly any options, and 'what was going on'. Every effort made to minimise the effect of any dust and 'mess', with a good level of 'cleaning and tidying-up' before leaving.